This is the written contract for the sale and purchase of the property between the vendor (seller) and the purchaser (buyer). Never sign this without discussing it with your lawyer. This is a method of selling a property where the vendor, either privately or through a real estate agent, invites all prospective purchasers to meet on one specific day to bid to purchase the property in a public auction process. Usually the vendor will set a reserve price below which they will refuse to sell the property, but if the top bid is over that reserve, the property will sell. The auction process can be stressful for both the vendor and purchaser. A second offer accepted by the vendor, when the vendor already has an existing contract that is conditional on certain conditions being satisfied. If the conditions in the first offer are not satisfied for any reason by a particular date and time, the backup offer becomes the contract with the vendor. These arrangements can create pressure for both vendor and purchaser. These are the movable objects found in a house or elsewhere on the property that are included in the sale. Commonly they include the stove, television aerial, carpets, blinds, curtains, drapes and light fittings. However, they may also include dishwashers, refrigerators, heaters etc. It is important that all chattels are specifically listed in the Agreement for Sale and Purchase. This is a fee (flat fee or percentage of the sale price) paid by the seller of a property to the real estate agent responsible for arranging the sale. the purchaser's solicitor approving the title to the property. Other conditions may also require the seller to do something by a certain date. Once all the conditions are satisfied the agreement becomes unconditional. Whether you are a buyer or seller, it is important to get legal advice to ensure that any required conditions are expressed clearly in the agreement. This type of ownership is common where there is more than one dwelling on a single site. A plan attached to the cross lease title shows the outline of any buildings on the land (called a ‘flats plan’). The owners of each dwelling co-own the land and each leases their own building/s. The terms of the leases generally provide for the owners to have exclusive rights over certain parts of the site. This is a complex form of property ownership and it is very important that a property lawyer is involved when buying or selling a cross lease title. Part of the purchase price (usually 10%) paid by the purchaser when the agreement is signed or when confirmation is received that all conditions have been satisfied. This is the amount of the property‘s value that you actually own. It is the difference between the value of your property and how much you owe on it. The value is usually represented by its current market value. This type of ownership is often referred to as ‘fee simple’ title. Having freehold title means that you own the land outright. There is no co-ownership, unlike cross-leases or unit title ownership. It is the most common form of title in New Zealand. Goods and Services Tax is not usually applicable when buying or selling residential properties but is important to consider in the case of lifestyle blocks, farms, commercial and investment properties. This is the sum charged by the lender to a borrower over the term of the loan. It will be expressed as a percentage of the loan and collected at intervals such as fortnightly, monthly, quarterly or sometimes six monthly from the borrower. Many subdivisions now have a covenant or obligation registered on the title, limiting the type of structure (including fences) that the owner can build, or limiting certain activities being carried out on the property. These should be thoroughly checked with your property lawyer prior to signing any agreement. This is where someone other than the occupier of the property owns the land and a landowner charges rent to a leaseholder (lessee) for a specific term. The lease period is usually renewable. Sometimes buildings on the land belong to the lessee. Terms of the lease will include property maintenance and rent reviews. public works in the area. The information in a LIM varies from local authority to local authority, depending on the extent of its records. Failure to check the LIM could have dire consequences. For instance, a LIM will show if a woodburner has been installed legally. If it has not, this could invalidate insurance on the property in the event of a fire. This is the security a borrower gives a lender which is registered against the title to the property being purchased. The property cannot be sold without the loan being repaid and the mortgage removed from the title (discharged of mortgage). If the borrower fails to meet their obligations under the loan, the lender can, after giving notice to the borrower and following legal procedures, take steps to sell the mortgaged property to recover the loan. The obligations of parties to a mortgage and their ongoing liabilities, needs to be fully understood and this is where a property lawyer can help. This is the date on which you receive the keys and take physical possession of the property. This is usually the same as the settlement date, when the purchaser’s lawyer has paid the purchase amount over to the vendor’s lawyer and legal title to the property is transferred to the purchaser. This is where a homeowner sells the property without using a real estate agent. 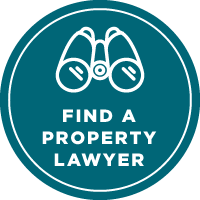 With a private sale, it is especially important to involve a property lawyer in the process. This is the person buying the property. This is the date that the purchaser’s lawyer pays the purchase amount over to the vendor’s lawyer and the vendor’s lawyer transfers legal title to the property over to the purchaser. This is a process of selling either privately or through a real estate agent where the vendor invites purchasers to submit purchase prices in writing by a set date. The tenders are opened after that date and the vendor selects the tender that suits them best. This may not be the highest price as it can depend on a variety of factors including the price, the settlement date and any conditions the purchaser is seeking. The vendor is not obliged to accept any particular tender. The Certificate of Title is a legal description of a property and provides proof of legal ownership of property. In New Zealand a title can be a freehold, leasehold, unit or cross-lease. Unit title ownership is common in apartment buildings. Owners own their own units (a defined space) but share ownership of common areas such as driveways, foyers, hallways etc. Each unit owner becomes part of a body corporate. Owners’ rights and obligations are set out in body corporate rules and the Unit Titles Act. The Act governs the method of ownership and the body corporate. It is very important to take advice from your property lawyer prior to buying or selling a unit title. Your local authority (Council) uses a valuation for rating purposes. This provides only a guide to the market value of the property. A private (registered) valuation, carried out by a professional valuer, will reflect the market conditions at the date of valuation and is therefore more accurate. This is the person selling a property.